Serving size 1 ounce. Makes 48 servings. Recipe adapted from AARP. Position racks in the upper and lower thirds of oven; preheat to 250°F. Whisk lime juice, chili powder, salt and cayenne in a large bowl. 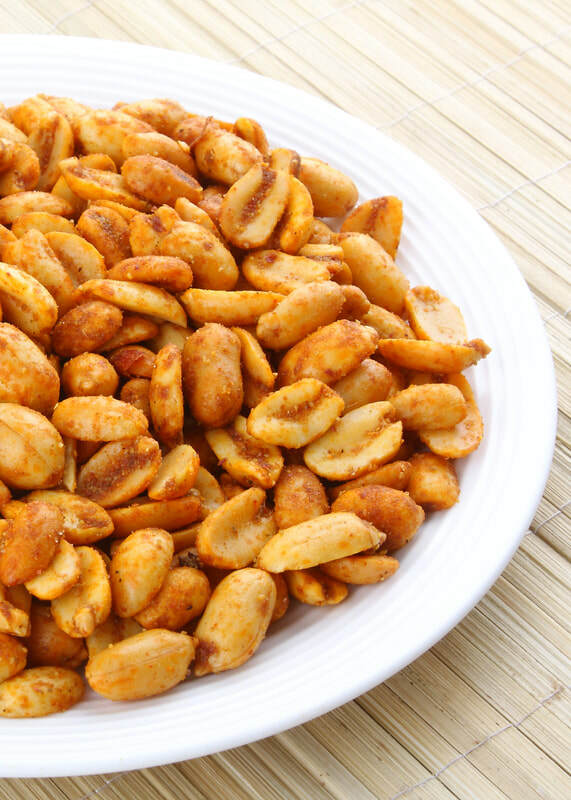 Add peanuts; toss to coat. Divide between 2 large rimmed baking sheets; spread in an even layer. Bake, stirring every 15 minutes, until dry, about 45 minutes. Let cool completely. If you can only find salted peanuts, omit the added salt. Add the maximum amount of cayenne pepper if you want an extra hit of spice.